I love decorating. I don’t know when I starting loving this, but right now I kind of wish I could be an interior decorator. It makes sense, really – I love fashion because it feels like another art form to me, and design is no different. I love film photography & painting because I have an eye for composition, which I think is carrying over into my potential home design talent! The only place I’ve ever designed all by myself to-date is mine and Zach’s first college apartment, but I am so excited to have a chance to do it again when I move soon. It’s too early to actually start investing in design pieces, but a girl can dream / plan & indeed I have been. Yes, a nail polish color is my decorating inspiration! Most people who know me well know that turquoise is my favorite color, but in general I’ve always been calmed by any shade of blue. 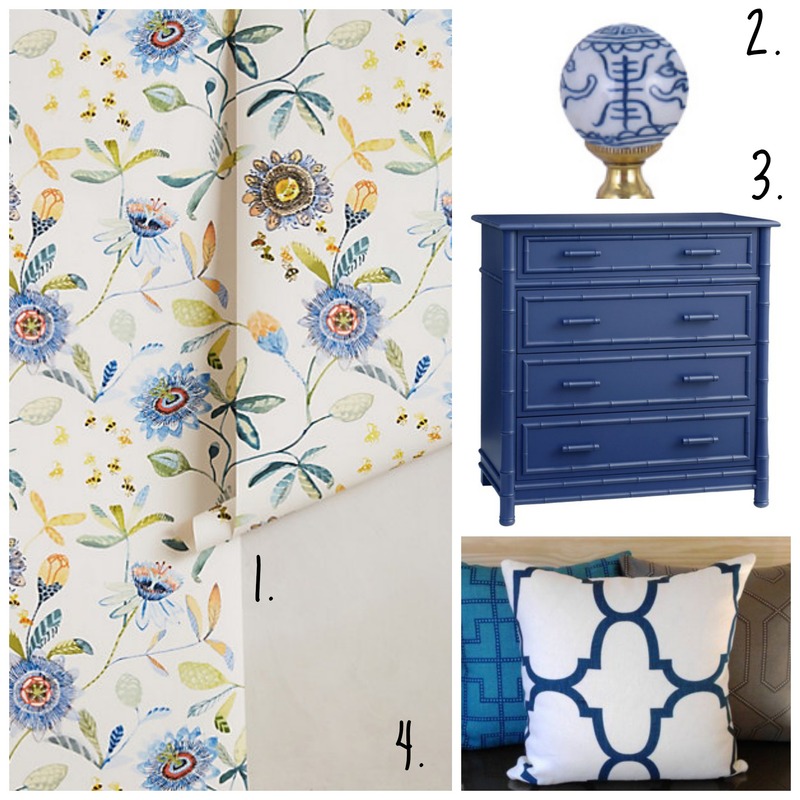 In our apartment now, I picked a majority of different blues for the coffee table, bedding, my desk, our console, blinds, etc. It just eases my busy mind to be surrounded by it and I’m not afraid to say, I basically consider it a neutral. 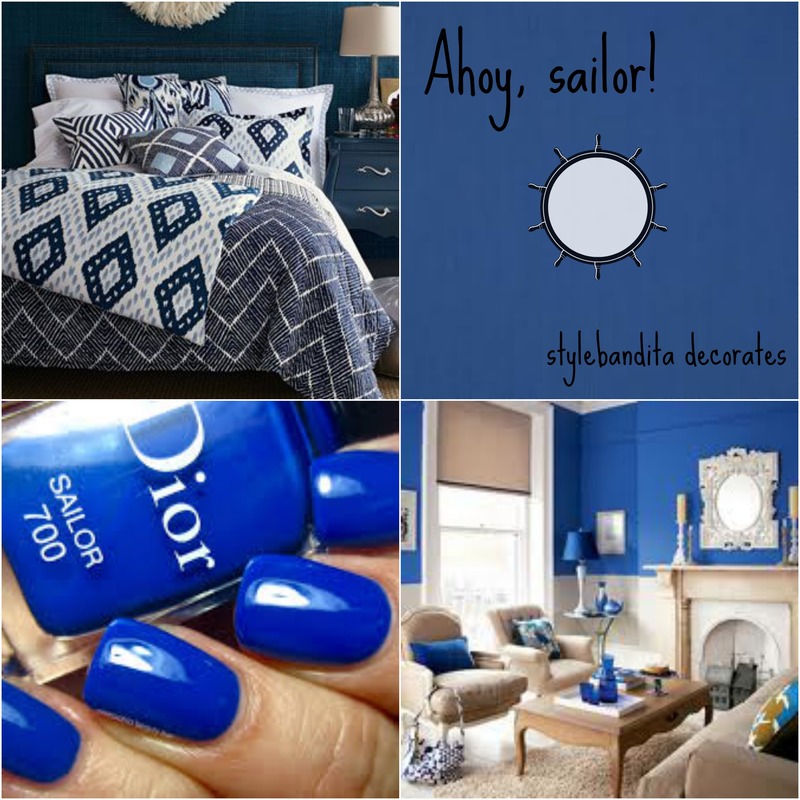 Anyway, I thought I’d share with you some design inspired by this lovely ‘sailor’ blue nail polish. I love this wallpaper from Anthropologie. It’s perfect for renters, because it’s easily removable, so I’m pretty determined to make this work somewhere in my next place. Hardware (AKA knobs) are a really good way to spruce up your decor without making too much of a statement. Changing out boring knobs for unique ones like the one above is an easy way to personalize your space on the cheap. This particular dresser is way out of my budget, but the good news is… its so easy to paint a cheap dresser any color you want! 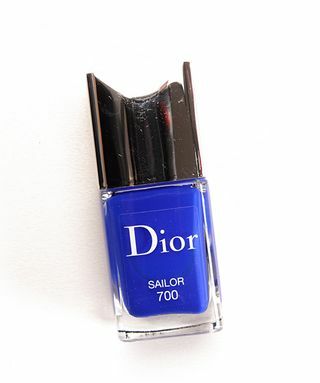 ‘Sailor’ blue dresser, I’ll be making you soon. Lastly, pillows are another easy & cheap way to incorporate different colors, patterns & textures into your home. The great thing about them is you can use them as a decorating tool no matter how small your space may be. Don’t be afraid to mix and match! I think I fell in love with this particular blue because it wouldn’t be too girly for a space shared by both a lady & a fella. It could be a bit dark & dramatic for my taste, but paired with lots of white, it gives more of a beach-y feel, and honestly, who wouldn’t want their bedroom to feel like a calming oasis escape?